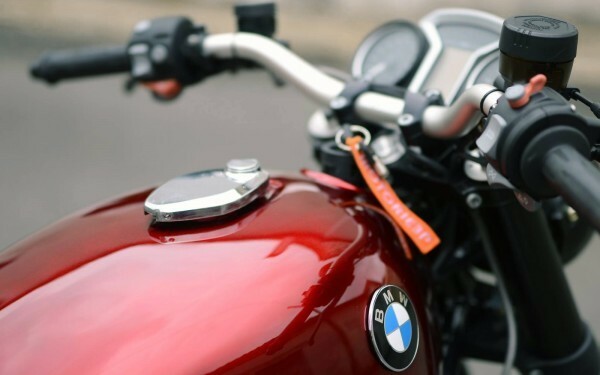 The BMW R1200R is not the most famous BMW around. 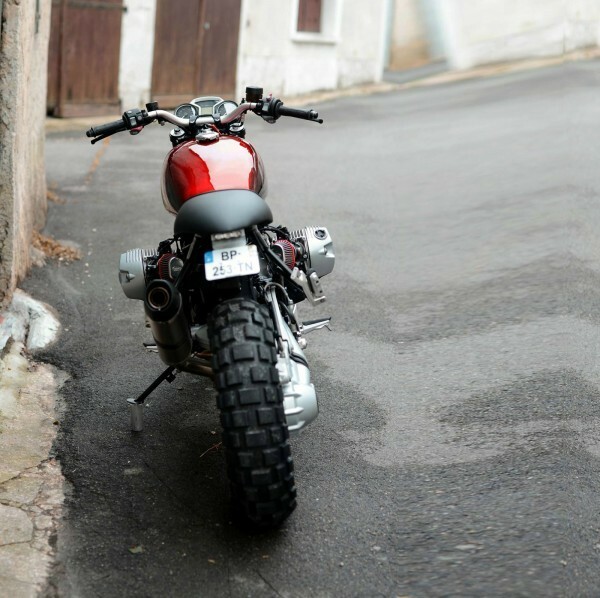 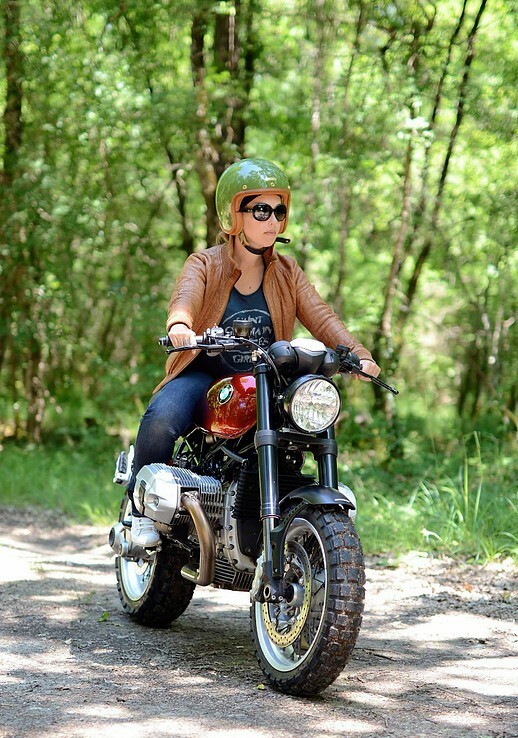 But as a base bike for a custom motorcycle it’s even less famous… But the French guys from Motorieep saw that as a challenge and turned this ugly duck into a great looking, fun to drive R1200R Scrambler. 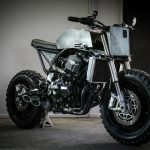 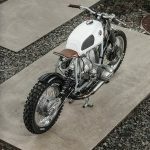 For a more classical look they’ve removed all the plastics and fitted a custom rear seat, replaced the bulky gas tank for a smaller one of a Kawasaki 900Z, and rebuilt the front end with a 48mm WP USD fork. 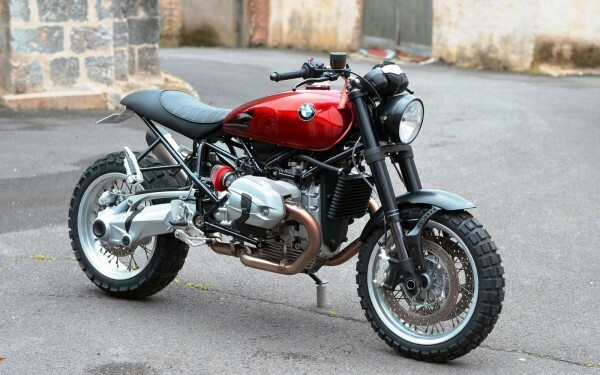 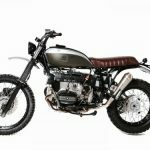 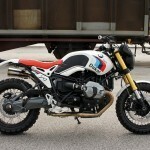 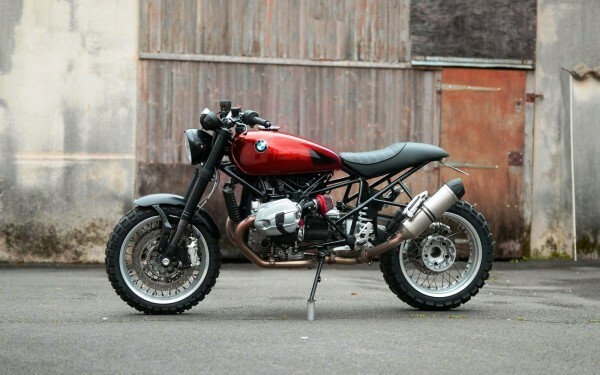 Lately we see a lot of builds on the R NineT and when I first saw this bike I also thought it was based on this. 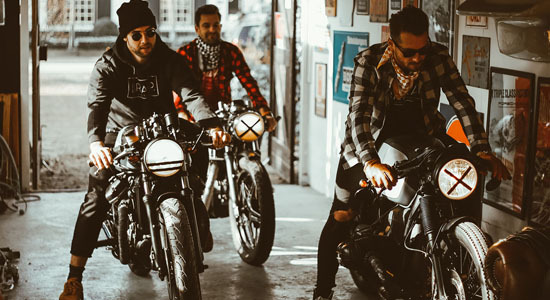 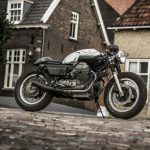 The only thing that was taken from the R NineT was the frame setup; but it only was used as a reference, since the frame was completely built by themselves using some serious TIG welding skills. 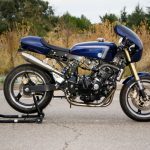 For the serious off track works they’ve fitted the bike with Continental TKC 80 wheels. 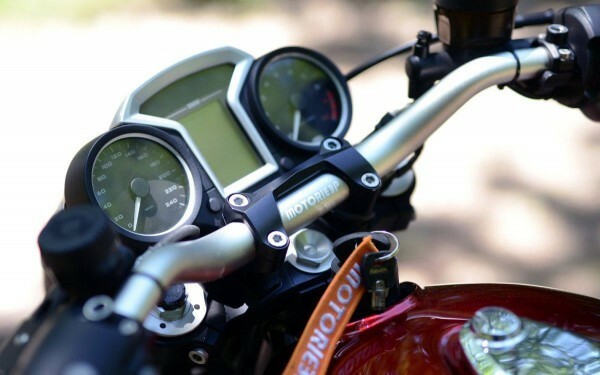 For the electronic system a MotoGadget control unit was used and bar-end turn indicators keep the bike “clean”. 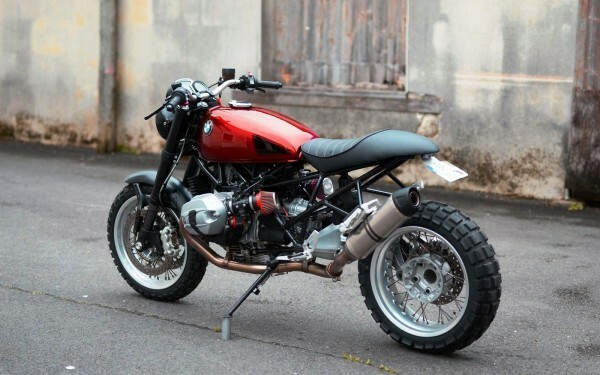 The weight was reduced to 185kg and together with over 110hp and a massive torque this R1200R Scrambler will definitely will trow up some dust. 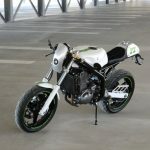 To stop all this power they’ve fitted the bike with radial Brembo P4 calipers on 320mm discs. 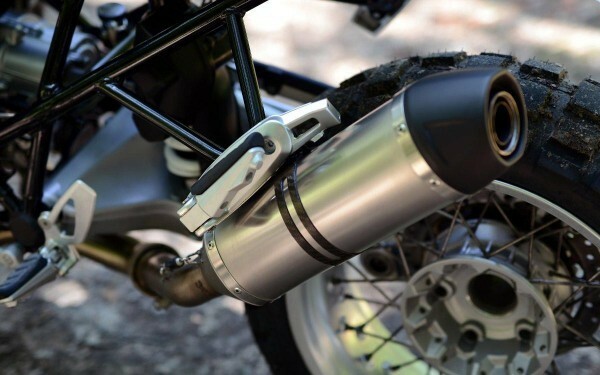 The exhaust system is also an own creation with a Leovince SBK silencer.